When learning the geography of their states, kids are often encouraged to make their own models as a hands-on technique of reinforcing the lesson. 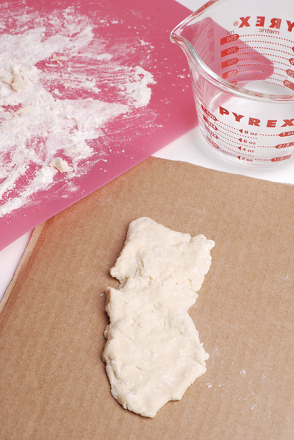 Challenge her to try to recreate the geography of her state with homemade dough made from just flour, salt, and water. She'll have a blast letting her hands get a little dirty as her creativity takes over, and she'll get in touch—literally—with her state's physical landmarks. Help your child look up an image of your state. Explore the different types of maps available, such as physical relief maps, elevation maps, and political (county) maps. Ask her to decide what features she would like to include on her map. This project works well to create a relief model, as she can easily form the ups and downs of differing elevations and physical features such as mountains, valleys, etc. Encourage her to draw an outline of your state as best she can on a piece of thick cardboard. Ask her to paint the cardboard around the outline of the state in appropriate colors. For example, If your state borders a body of water, that area should be painted blue. If your state borders other states, that area can be painted green, or each state can be painted different colors. 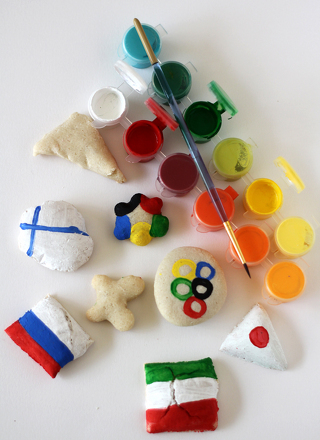 Once the paint dries, help your child mix the salt dough using flour, salt, and water. When it is all mixed together, the salt dough should be malleable and not at all runny. Move the salt dough to the cardboard, and instruct your child to spread out the dough until it fills the area of the cardboard where the state should be. If she wants to make a relief map, use maps to try to form the elevation differences of your state. 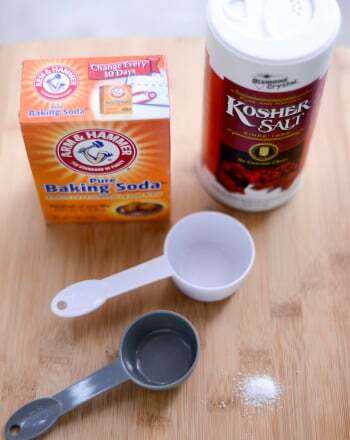 Allow the salt dough to sit over night and dry completely. Once the dough is dry, have your child paint the state. She can look at the map while she does this to make sure that she paints in all the appropriate bodies of water, mountain ranges, and flat areas. Leave the salt dough state again to allow the paint to dry. After the paint is dry, have your child go back and label other aspects of your state, such as bodies of water, mountain ranges, surrounding states, and the capital. She can use a permanent black marker to mark things like outlines of counties, the capital, rivers, etc. Encourage her to get creative! Urge her to try to make an informative and clear map, because this model of her state can make a great study aid. Take play-dough to the next level with this homemade recipe, adding surprising ingredients perfect for summer! Run out of state quarters to collect? Design your own with this fun worksheet! 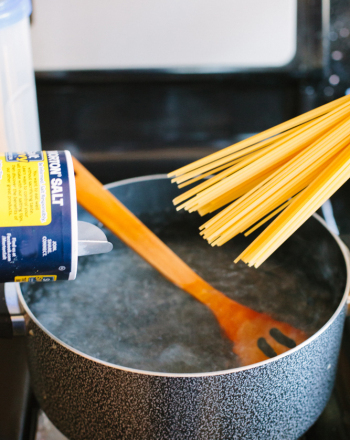 Does Adding Salt to Pasta make it Cook Faster? 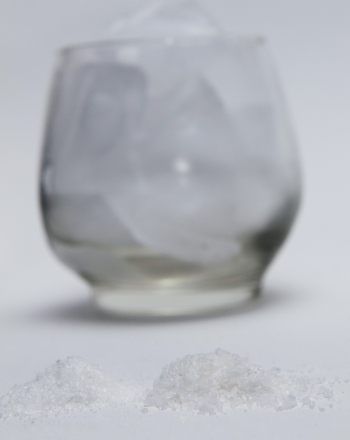 Did you ever add salt to pasta? Did it help cook the pasta faster? If not, find out in this science fair project idea. Does your fourth grader know his state's song? What about his state's fruit? Every state has a number of symbols that represent something special. 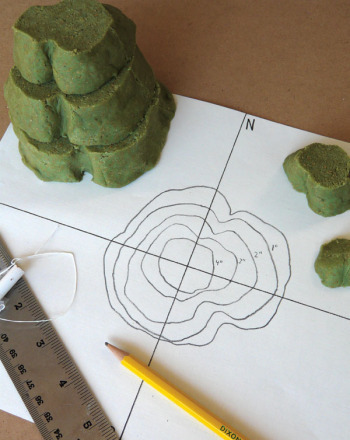 The goal of this project is to create an exciting topographical map out of dough.